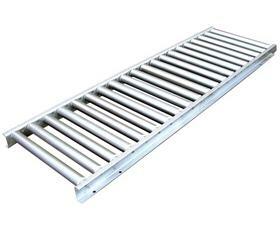 Stainless Roller Conveyors | Carolina Packaging & Supply, Inc. 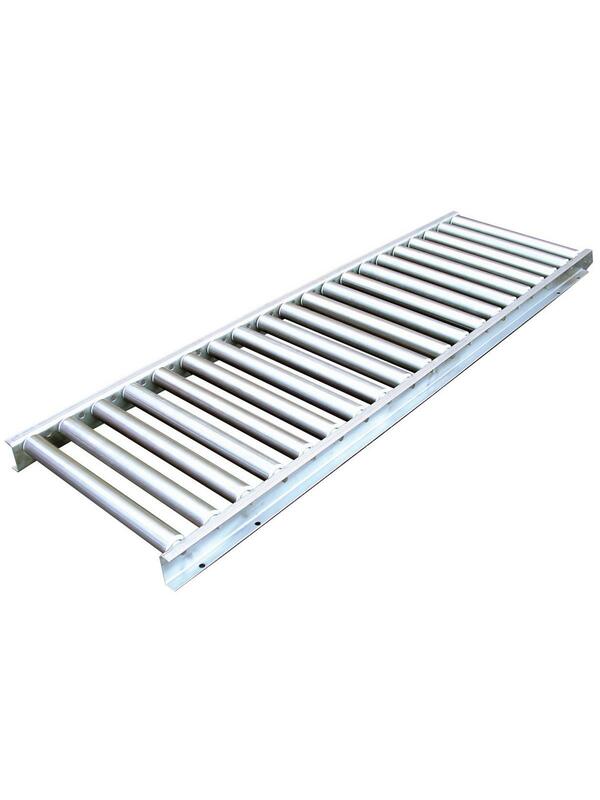 Stainless steel construction renders this conveyor ideal for food equipment and other wash-down operations. 1-5/8" rollers feature 16 ga. stainless steel tubing and DeIron Bearing with S.S. balls. 7/16" spring loaded Hex axles and five welded cross braces support a 2-1/2" x 1" x 1" frame with 12 ga. S.S. formed channels. Frames over 10' support 900 lbs. with individual roller cap. of 100 lbs. FOB Shipping Point. See Related Items tab for Stainless Steel Roller Conveyors - All Stainless Steel 'H' Type Supports..